I looked through all the gaming section didnt find this anywhere so you know I'm making one now about this great game.So did anyone play the TND game?What did you like and dislike about it , in my opinion great game I loved the hotel bit but it wasnt in great detail because Carver & Kaufman had 100 life and I dont remember killing Stamper , but all around it was a good game.Your thoughts? It was the first video game I ever played. I thought it had a great soundtrack, and I loved the levels were Bond was able to ski. It had its downsides like every game, but I've always felt it was a bit underrated. 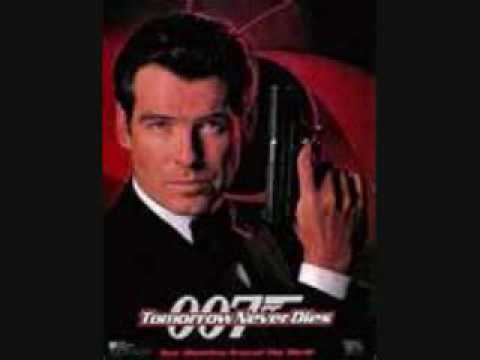 Also I've always prefered the Bond games to be third person, gives it the feeling of a film that we as player can control. Got it for christmas, its the best Bond game ever and almost as good as TWINE for n64. I almost couldt bring myself to kill herr stamper. "For Kaufman! For carver"
I played it once at an aunt's house way back but that was it. Can't remember very much about it. Don't remember a hell of a lot about it, I did think it was pretty cool at the time. I remember the skiing section being pretty good! It was a short game with some poor level design at times. It's a shame Rare didn't make it when they were originally asked too. Yes, I think it was renowned for its third person playability or lack thereof! I remember this being either my 2nd or 3rd Bond game. My first was TWINE PS1, then either 007 Racing or TND PS1. I loved this game. I love the music in this video. Ah, that takes me back. 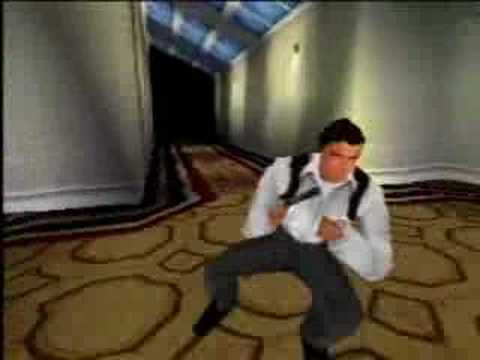 TND was actually the first Bond game I played/owned. It would be great to buy up all of these great games and give them all a play some time. I don't remember the skiing bit? Does anyone else? Are we celebrating the 15th Anniversary of this game? We should! it's today! I seem to recall a level where you would play as Wai Lin? Yes, where you are to battle the helicopter with a rocket launcher. For their time, they were decent. Everything ages. 16 years from now, The Last of Us will look like sh*t.
Tomorrow Never Dies was my first Bond video game. And to tell you the truth, I indeed was blown away the first time I saw what was inside the game. That's the impact left upon the five year old boy who experienced his first challenge, albeit virtually, as Bond. But, oh my... good times, weren't they? @Agent007391, but of course, it's just funny being able to look back on that moment and remember it so vividly. How the times have changed. All this Bond videogame talk is really making me crave a good and proper Bond game once again. I want a competent company to give the fans, first and foremost, the game they've wanted. I'd really pay anything to see the demo version of The Mission Continues. At least a a glimpse of that game, because the screenshots alone left me thirsty after all these years. If you have the VHS copy of Tomorrow Never Dies, there’s a promo at the beginning with Desmond Llewelyn playing and talking about it. Yes, I've seen that. But, then again, it doesn't reveal much of the game's footage. But ah well. That's funny, you also battle a helicopter with a rocket launcher in N64's TWINE. So do we in Nightfire, Everything or Nothing and Quantum of Solace. Happy I found this thread, I was about to open one myself. What GE on the N64 for most fans is, is TND on the PSX for me. I was too young for the GE generation, TND was the first Bond game I ever played. Maybe that's why I'm so fond of the movie too. I had it on PS. Played it couple of times but I´ve never been into video games so much... apart from EA´s NHL-series. I can recall that it was rather good, solid effort at least. Can´t say that I remember much, though! It was my first game, too. Even though there are many good aspects and ideas in it, the game itself was lazy in its development. It was unnecessarily hard, and there were countless glitches that could disturb the light out of you. Then again, The World Is Not Enough on PS1 gave me the same issues. Same developers, what can I say? Other than the feel of nostalgia, neither of the PS1 Bond games excite me in terms of their gameplay.